Ask any student group on a college campus "what is the most effective way to organize a group of people?" and nine times out of ten; your answer will include a combination of the following words: free and beer/pizza. I'm proud to report that same theory of motivation proves true here in Afghanistan, among soldiers and contractors alike. Tweak the theory a bit to sub a cigar for the pizza portion, while adding a *non-alcoholic in front of the beer portion, and you've got yourself a case worthy of a doctorate level thesis. After sifting through packages filled with several pounds of coffee and a couple dozen cigars, I opened a thin package sent from my sister Michelle. I'd been intrigued by the package since it's arrival on Tuesday afternoon, as the packing list simply stated "book". As I opened the package, the vivid colors on the cover you see here immediately caught my eye. Mrs. Corson, the 3rd and 4th grade teacher at St. Louis Academy, recently charged her students with the task of compiling all they have learned over this year of studying Indiana state history into a book that they could publish and cherish for eternity. 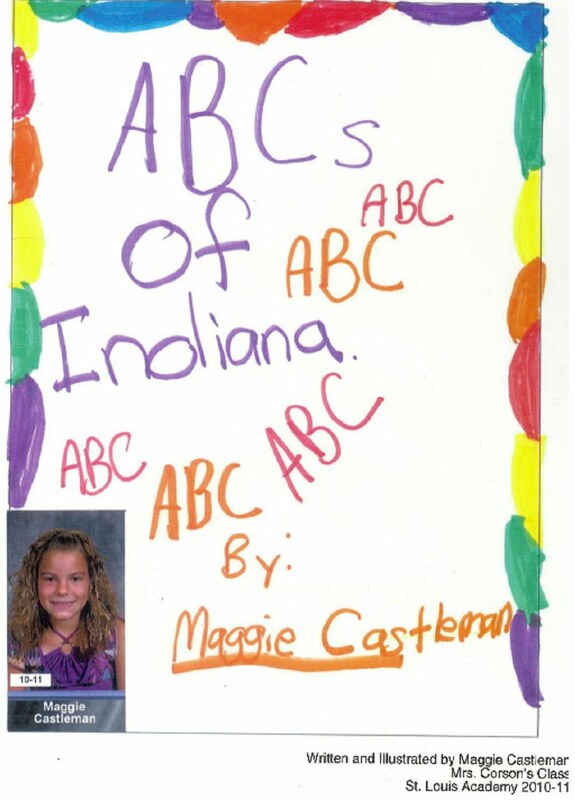 My sweet niece Maggie was kind enough to dedicate her first attempt as an author- "ABC's of Indiana" to none other than her old Uncle Bart. While I'm extremely grateful to all for the many thoughtful packages sent, I have to say that this book was without a doubt the most heartfelt. She's quite a creative young lady I might add. From the first page's mention of B is for Butler, all the way to the final page's clever relation of the letter X to one of Indiana's thousands of railroad crossing symbols, I wouldn't be surprised in the least bit to see a few more literary works in Ms. Maggie's future. Kudos to the entire class at St. Louis Academy studying Indiana state history, keep up the great work! While any blend of non-alcoholic beer is most definitely an acquired taste, St. Pauli Girl NA was the beverage of choice for Friday evening's get together. I have to say that the St. Pauli's made for a perfect compliment to the mild Nub Connecticut blend of cigars that we all were firing up. SFC Andy Bowman, another good 'ol boy on the team from Northeast Indiana, especially enjoyed the evening. This was a great chance for all of us to enjoy a bit of time together, off of the clock, just hanging out as a team. In addition to Shabazz (Bowman's Pashtun name), several of our international friends came out to partake in our Happy Hour. Both Innocent (one of the Ugandan men I've gotten to know quite well) and Ajmala (our Pashtun interpreter and cultural advisor) stopped by for a bit to add a little flavor to the crew. A special thanks to all who helped organize Friday evening's get-together, you know who you are. Also, I wanted to especially thank all 216 of you who were kind enough to post birthday greetings on my Facebook wall. Yes- my mother counted...only a mother's love is strong enough to meticulously creep through that many pages of Facebook profile! 27 was a great year, filled with countless blessings and decades worth of memories. At this pace, I'm excited to see what the future holds. As I think about all the adventures my 28th year is sure to entail, I can't help but think of a card I received from the Schroeder/Schleben families. 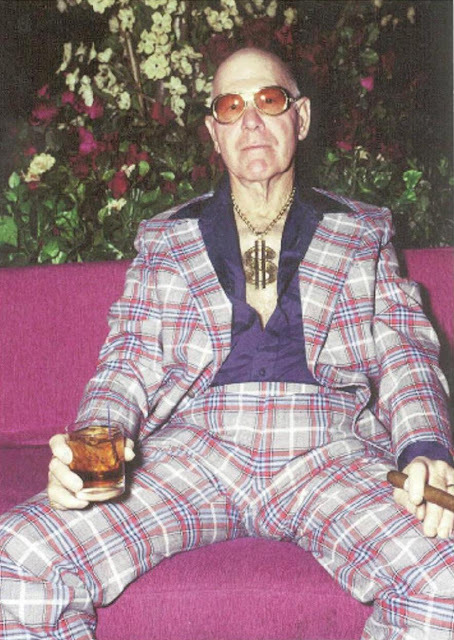 While I'm not certain that my dreams would line up very similar with those of the gentlemen featured, I do have to say that I highly admire his forthrightness. The card cover features the gem of a man you see below, while the inside bears a motto I just might borrow for year 28: "Live Your Dreams." Looks like you manged to have a great celebration between the mix of hearing from family and friends from home and putting the theory to test abroad! I would expect no less. Love the motto for 28, too!